If you have a children’s rhyming poem, rhyming picture book text or story in verse that just won’t behave itself, send it to me and we’ll soon have it sorted out! Writing in verse is not as easy as it may first appear. Your story or your theme is the most important element. Next comes the meter or the rhythm of your verse. The rhyme should be incidental, an added bonus, not the main player. I have been writing and editing rhyming poems and stories in verse for many years now and below are some of the commons mistakes that I have encountered. came, went, walk, sat etc. Poetry is an economical medium. If someone is walking, how are they walking? Replace common verbs with more vibrant ones. Eg – tripping, scurrying, scuttling, sloping, gliding etc. Avoid too many adverbs. If someone is walking slowly, use strong verbs like, dragged or dawdled rather than the adverb slowly. It just paints a brighter more vivid picture. 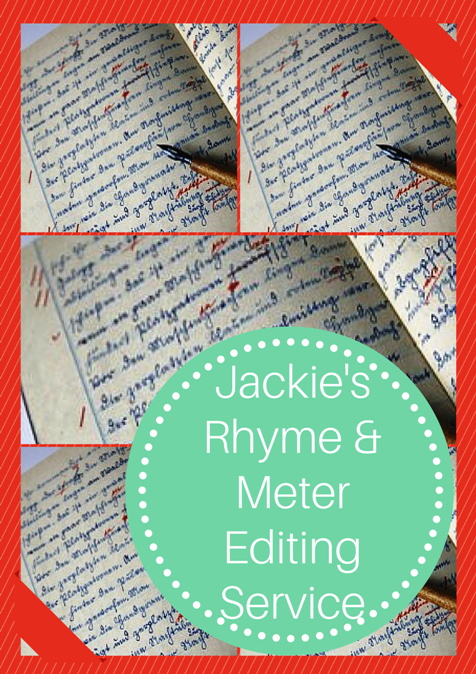 Near rhymes are perfectly acceptable if everything else, the meter and the story is perfect. Otherwise they should be avoided. If you can’t find the perfect rhyme then I would suggest looking at changing the line around to create more options. Style is not how you write. It is how you do not write like anyone else. As far as I’m concerned, without meter nothing matters!!. So, what exactly is meter? Meter is the rhythm of our language. It’s the drum beat that rocks the poem along. It should be predictable and so established right from the start. This allows the reader to relax – it’s a bit like jogging. Once the rhythm is established you can jog for miles! Without this predictable rhythm, the reader will trip up which will pull them out of the story while they try to adjust to the new rhythm. Eg: the word ‘paprika’ in English is pronounced PAprika, with the stress falling on the first syllable. In the US it is pronounced paPRIka, with the stress falling on the middle syllable. What’s wrong with this couplet? Bonsai certainly rhymes with goodbye but why doesn’t it sound right? Below is an alternative – why does this read more smoothly? And walked away from/my Bonsai – you’ll note also that there are two unstressed syllables between the stressed ones, not a major problem as we would tend to run the words ‘from’ and ‘my’ together anyway but the author may will stress the word ‘my’ and adjust how they pronounce the word ‘bonsai’ and put the stress on the second syllable. They will do this instinctively when they read it aloud and will miss the discrepancy. The new reader, however, will try to pronounce the words as they are spoken normally and will trip up the first time he/she reads it. A good indication of whether you have made this mistake in your own writing is to get a friend to read it aloud and note where they stumble. Or to read lines yourself but out of order. Could there a be a more complicated way of saying, knit one pearl one five times?. The English language, the one you and I speak fluently is considered a stressed language. Its words are broken up into syllables which are the raw material for meter. In tip 2 above I showed that words with more than one syllable usually have one syllable stressed more strongly than the other. …you have to knit one, then pearl one all along the row. Think of the knit stitch as an unstressed syllable and the pearl stitch as a stressed syllable. This is what iambic meter is. One unstressed syllable followed by a stressed one. If we were to follow this pattern for ten stitches (syllables) i.e. kp|kp|kp|kp|kp| we would have written a verse in iambic pentameter, where pentameter = 5. We would also be on our way to knitting a very lovely scarf! What do the publishers have to say. Just recently I was asked to sit on a panel at The Ballarat Writers’ Festival to discuss the art of writing in rhyme. To Rhyme or not to Rhyme, that was the question. Rather than give my personal opinion I thought it might be of interest to ask the powers that be, the publishers of Australian children’s books themselves. I spoke with over half a dozen publishers & editors and their answers were extremely telling. Below is what some of them had to say. 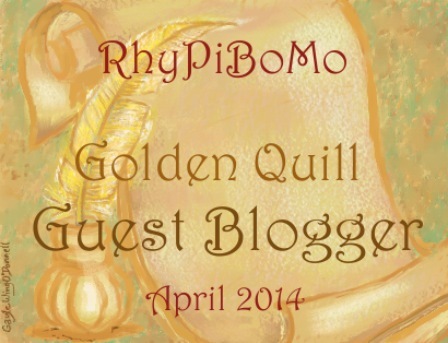 Do you publish rhyming picture books? We publish very few picture books full stop, and rhyming ones are generally treated with even more caution. We have published about three in the last four years. We’ll publish what’s good. That said there’s a lot of bad rhyming manuscripts that come in our doo, which makes it harder to see those that really work. A rhyming picture has to be an even better book than a straight text for it to say to us ‘Publish me”. Yes. But not a lot. Are rhyming picture books difficult to sell overseas? Yes, they do not translate with rhyme. English speaking countries are usually fine. Certainly selling translation rights is more difficult, for obvious reasons. They can’t readily be translated. Yes. They obviously don’t work well in translation. Yes — the British and Americans speak with different rhythms, and some words sound different in American. If a translation, then it is the illustrations which are evaluated more than the stories. What are the most common difficulties that writers in rhyme encounter? They haven’t got a sense of timing – rhythm or flow. 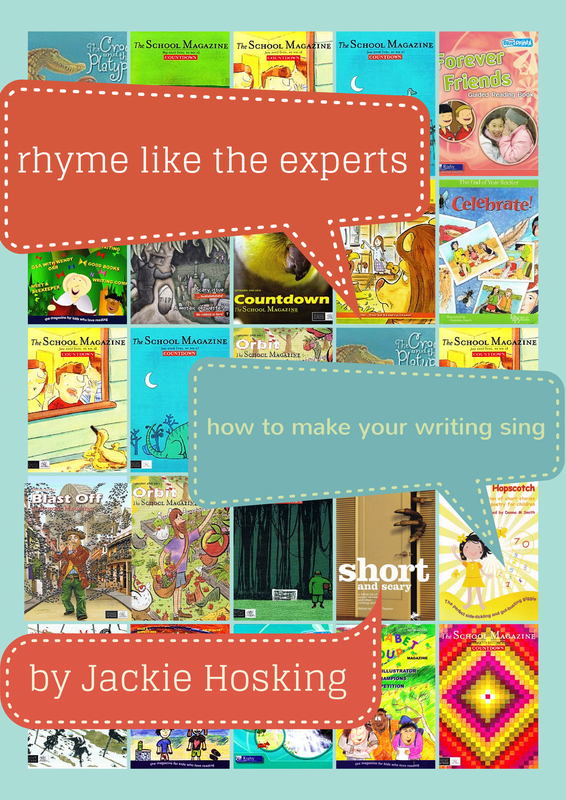 From a publishing point of view rhyming books do present challenges at the editing stage. Metre metre metre! So few submissions have pleasing, easy metre. Read your poem aloud. Do you have to work hard to fit your words into your metre? Do you adjust the stress on ANY of the words (i.e. do you say them differently to the way you say them in natural speech)? Rewrite those lines!! I cannot emphasise enough how important metre is to poetry. They think the rhyme excuses a whole lot of other flaws, including poor rhymes. Rhyming is a subtle and complex art that deserves years of study and then you have to make it work for children and then in a picture book format. You need a great story first and one that works for children, which has a proper beginning, middle and end. Rhythms and rhymes that are “not quite there”. Who do you think are today’s most successful rhyming picture book writers? Doug MacLeod is one of the best. And Graeme Base. Do you have any favourite rhyming picture books. No. I am neither a fan of nor a critic of such picture books. The picture book must simply strike me as unique and perfect – it has nothing to do with rhyme. Of course the I Spy Books by Janeen Brian and The Gobbling Tree by Mark Carthew – a brilliant book for boys. My favourite classic is without a doubt My Shadow by Robert Louis Stevenson. The more traditional version is in A Child’s Garden of Verse, a gorgeous updated version was illustrated by Monique Felix using mice! This is a fabulous post, Jackie. I learned a lot. Thank you. I thought I already had a copy of your book, but couldn’t find it, so am ordering now. I’m sure it will be very helpful.